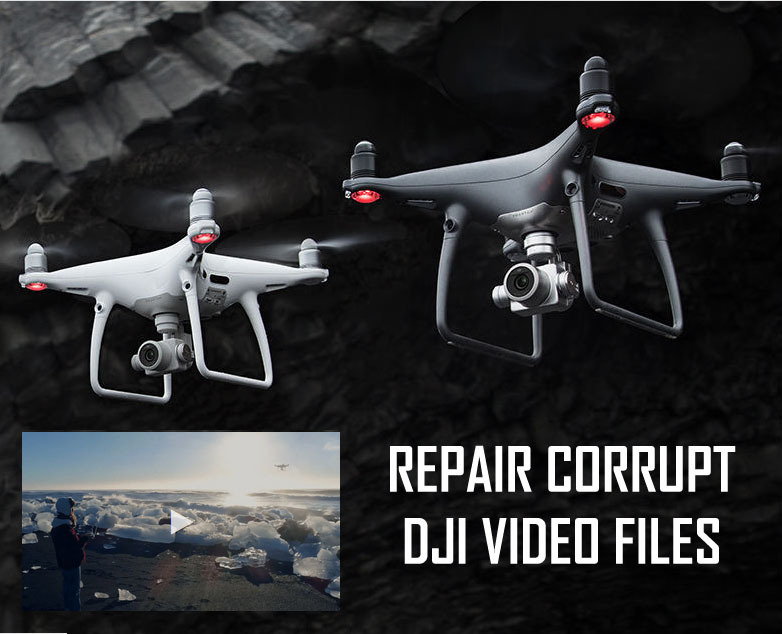 Effectively Repair/Fix And Recover Corrupted or Damaged Video Files Captured By DJI Phantom Mavic, Spark, Inspire Drone And Make Them Playable! Summary: In this specific blog we have listed the causes for the corruption of videos files that is recorded with DJI Phantom Drone. And also the best way to repair corrupted or broken DJI video files with the help of Video Recovery software. This blog post also covers the free ways to repair/fix damaged or broken DJI videos. Repair/fix damaged, broken, unplayable or corrupted DJI videos and makes them playable. Easily recover deleted, lost, erased, missing video files from DJI drone camera. Repair and restore virus infected or formatted DJI MP4 and MOV videos. Repair corrupted video captured by Phantom, Mavic, Spark, Inspire, Parrot, Hubsan, etc. It has been noticed that when DJI Quadcopter such as Phantom, Spark, Mavic or Inspire get accidentally Switched OFF, while recording is in progress, then it left with a file that’s corrupt and cannot be played. I crashed my Mavic Pro into the water while filming someone getting lit on fire and jumping into a lake and am desperate to see the footy. I was able to recover the previous videos I recorded that session, but the video file that was recording when I crashed is unplayable. It’s over 500MB so i know something is there. Anyone know of a way to recover corrupted video files on Mac? I tried DJIFix but keep getting a ‘permission denied’ error message. At such situation most of the users look for the solutions in the user manual that they have got with Drone. Well, the user manual suggests that “insert the SD card back into the camera. Power ON the camera and wait for about 30-35 seconds so that video files can restored.” Let me tell you that this work often, but sometimes it doesn’t work and you are still left with a corrupt file. So, how to repair corrupt DJI video files? Well, we will come to repair section but before that let us know how DJI video files get corrupted. Switching OFF drone’s camera mistakenly while the recording was in progress. Drone crash when you lose the control to operate it. Recording video even if drone’s camera display low battery warning. Exposure of drones to intense temperature. Transferring files from drone’s camera memory card to computer and if there is any interruption while transfer then it may lead to corruption of files. 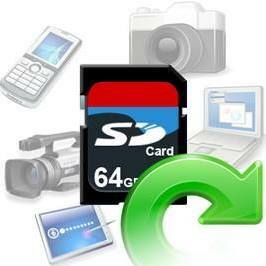 Improper or abrupt removal of camera’s SD card. Virus infection to drone’s camera card. In any of the above-mentioned scenarios, your DJI video files can easily get corrupted/broken and you may find it difficult to play. But, video file corruption is common issue and can be easily fixed by using right solutions. Alright, so here finally, we come to the DJI video files corruption solutions! As one solution already mentioned above that user manual suggestion – put back SD card into the drone camera, Power ON the camera, wait for 3—35 seconds. This could auto-repair any broken videos. If that doesn’t work, then you can try to insert memory card into the card-reader and connect it to computer and check if it is playable on computer or not. If that also doesn’t work, then try to update camera’s firmware. Another cool way to repair corrupt video is to use inbuilt video repair feature of VLC media player. Open corrupt video file with VLC and will auto-prompt to begin the repair process. But what if none of the above free solutions work in your case? Well, in such case, you must opt professional video repair software in order to troubleshoot the problem once and for all. 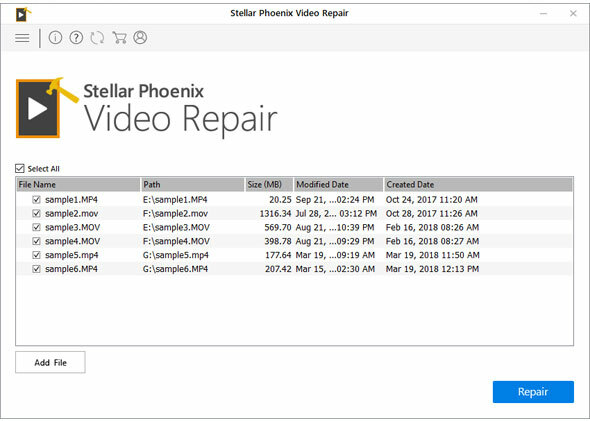 Video Repair is a powerful and appropriate tool that is designed to repair and recover corrupted, damaged or broken DJI video files, whether it is recorded by DJI Phantom, Mavic, Spark or Inspire Drone. 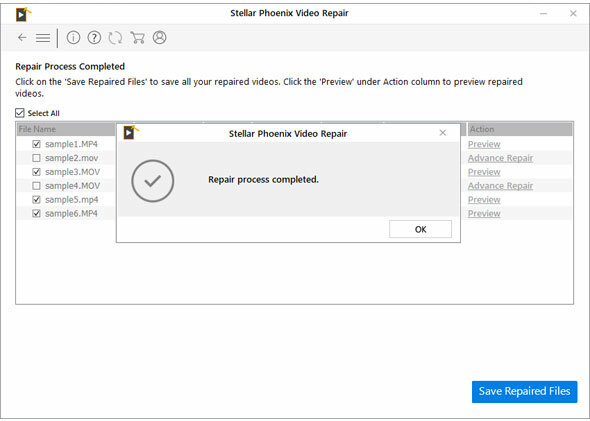 This video repair software from DJI drones repair almost all popular video file format such as MP4, MOV, WMV, F4V, M4V, AVI, MKV, etc. 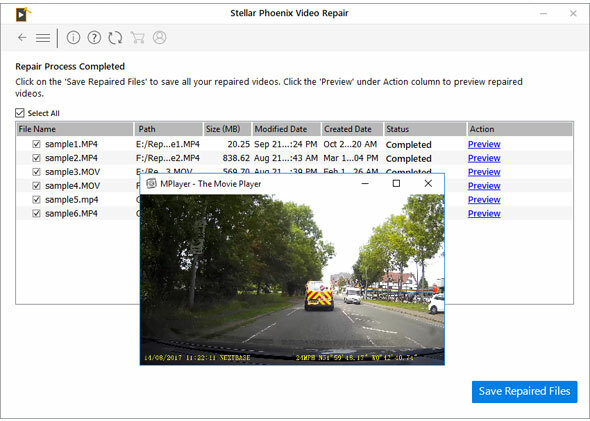 Whether your video files got infected with virus, damaged due to drone crash, corrupted due to read-write errors, unplayable due to file format/file header errors or got broken due other problems – this Video File Repair & Recovery software can easily tackle all situations and fix and recover corrupt videos. 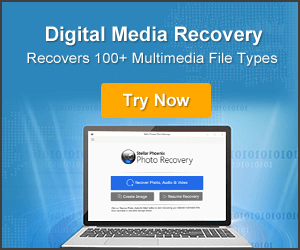 The best part about this DJI video recovery software is that it is available for both Windows and Mac computer and it repair/fix videos that is stored in computer hard disk, external hard drive, memory cards, digital cameras/camcorders and other media storage devices. Note: Stop using your DJI drone’s camera memory card after the corruption of video files. 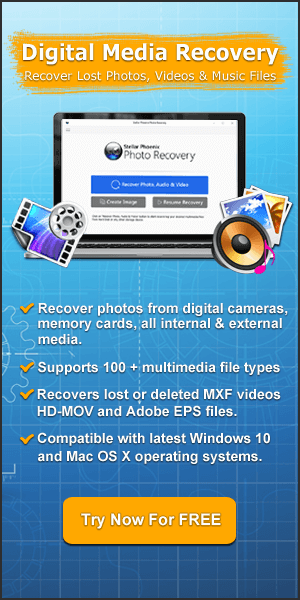 Do not add any new files on the card and immediately apply Video Repair software for successful recovery. Below check out the step-by-step guide on how to repair and recover corrupted DJI videos. 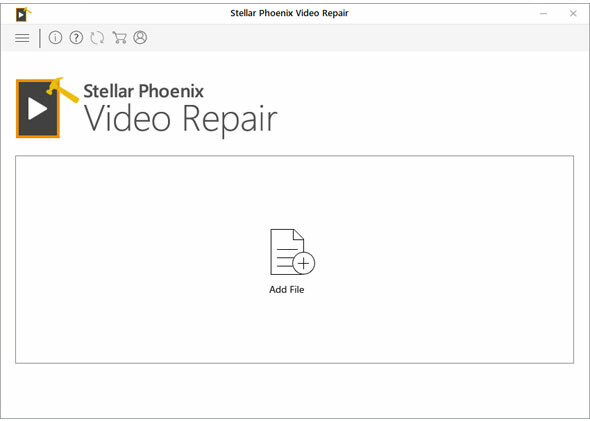 Step 1: Download, install and launch video repair software on your computer. Click on "Add Files" to add corrupted video files. Step 2: If you wish to add more damaged video files, click on "Add File". Step 3: Click on "Repair" button to begin the repairing process. This start repairing your added files one by one. You can see the progress bar that indicates the repairing status of the file. There is also a "Stop" button that you can click if you wish to stop the repairing process. Step 4: Once, the repair process gets completed successfully, you will receive the message saying "Repair process completed". Step 5: You can click on "Preview", in order to preview the repaired video file within the software. 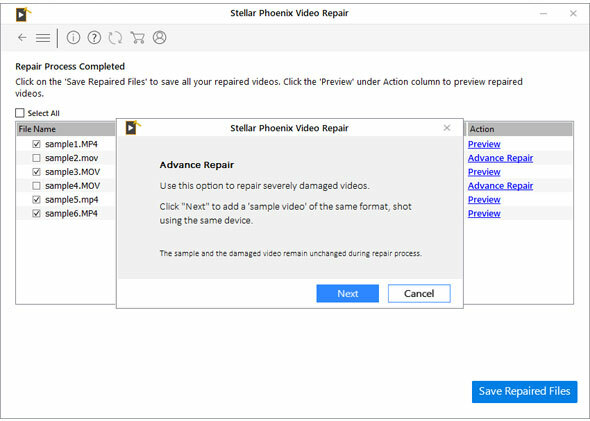 Step 6: If your video is severely damaged or corrupted, the software will tell you to repair the video by using the "Advance Repair" feature of the software. 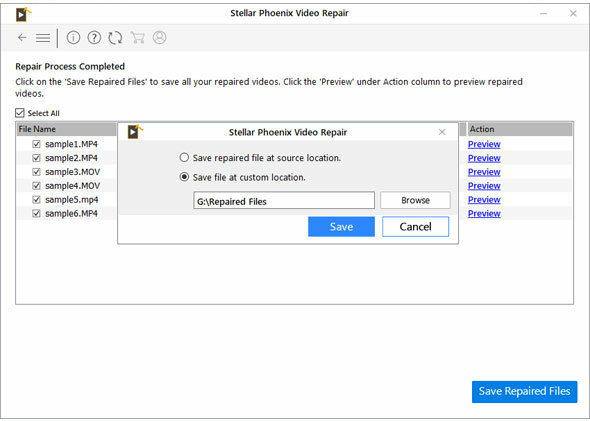 Step 7: Finally click on "Save Repaired Files" button to save the repaired video files at desired location on your computer. Ques 1. How to Repair video that is missing the ‘crash’ at the very end? Can you recover this? Ans – The answer unfortunately is NO. The software only recovers all of the video that it finds in a file. It is because the last few seconds of video might have not been written to the file – particularly when camera gets turned OFF suddenly (e.g. – due to crash). Ques 2. I repaired the file using software, but this file still doesn’t play. What is the problem? Ans – If the repaired file has the filename that ends with “.h264”, then this file format cannot be played by many media players. However, you can use VLC media player to play this file format. Ques 3. Is there any converter that can help me to convert “.h264” file to any other file format such as “MP4” so that I can play it with any media player? Ans – Yes, there are several software available online that can help you to convert ‘.h264’ file into ‘Mp4’. If you ask my opinion then I would suggest you to use “ffmpeg”. Ques 4. I ran your software, but the produced “repaired’ files when played with VLC, the video was very jerky. How can I solve this problem? It doesn’t matter how recorded videos using DJI drones get corrupted or damaged, they can be always recovered by using the right techniques. As of now you know both, free ways and software way to repair corrupted DJI files. If free ways doesn’t work in your case, the it is highly recommended that you must use Video Repair software. How To Repair Corrupt, Damaged or Broken DJI Video Files. 1. Free Ways To Repair Corrupted/Damaged/Broken DJI Video Files. 2. Repair Corrupt DJI Video Files Using Video Repair Software.